We’ve just launched a brand new range of HiB Mirrors with lots of them on display in our showroom! The new mirrors and mirror cabinets come in many different styles with lots of amazing features. This Vanquish cabinet is recessed into the wall for a flush finish. It comes with at least one charging socket suitable for toothbrushes shavers and trimmers. These cabinets are also fitted with a heated pad that helps clear condensation quickly. 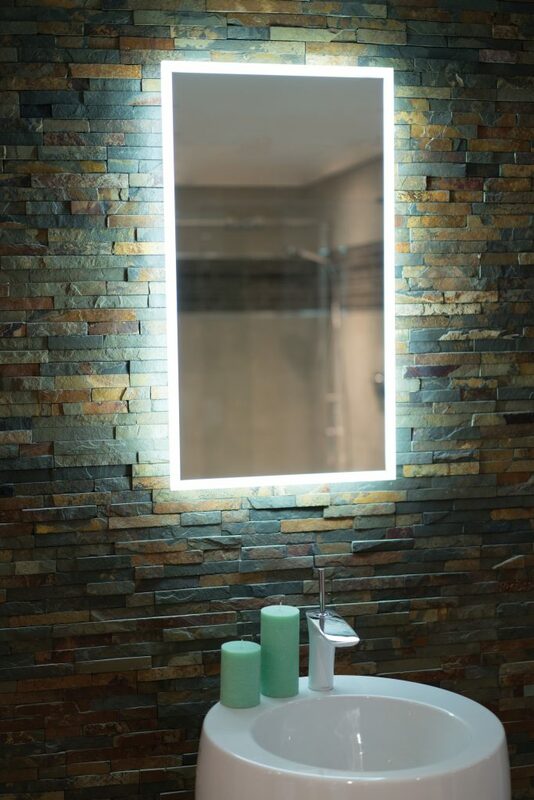 This Globe mirror has a beautiful ambient effect, making your bathroom glow! These are also fitted with a heated pad to clear condensation quickly. They also come with a sensor switch so that you just need to wave your hand by the sensor to turn it on and off leaving no fingerprints! This Groove cabinet has a number of amazing features! It comes with an internal illuminated magnifying mirror and it also has Bluetooth technology meaning you can play music from your smart phone! It also has a light adjusting touch switch meaning you can change the colour of the light to warm white or cool white. It also has the heated pad and integrated charging socket. This Spectre LED mirror is actually one you need to see in person as the picture doesn’t do it justice! It’s actually mirror on mirror with LED lighting between the two mirrors. We have it on display in our showroom for you to see. 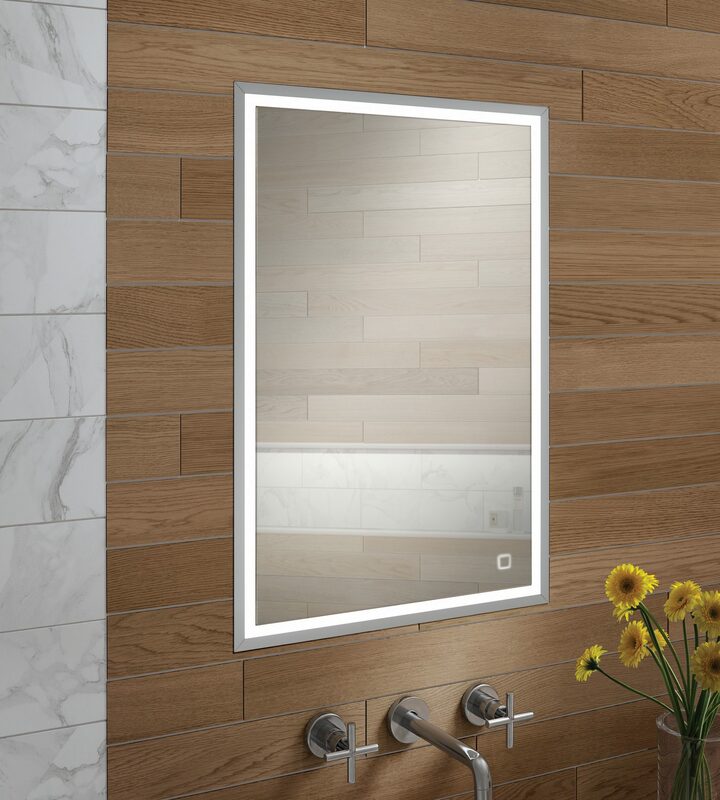 As well as being a very stylish mirror it also comes with the heated pad to clear condensation and the option to change the light from a cool white to a warm white. The mirrors shown above all come in a variety of different sizes.